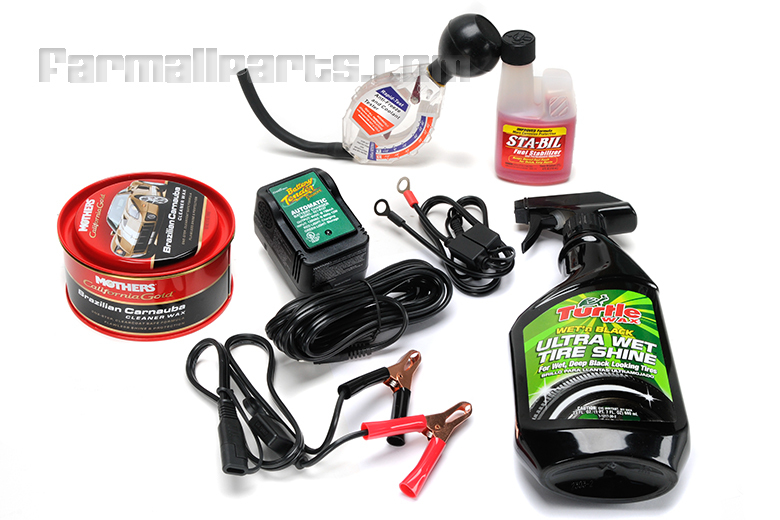 We have assembled this kit to include the items that we commonly use when winterizing a tractor. We have winterized many tractors over the years and these are the best products that we have found for the job. 1. 6 or 12 volt Float charger- the float charger will keep your battery charged during the winter. Charger automaticlly detects 6 or 12 volts. 2. Fuel stabilizer- We use Sta-bil brand fuel stabilizer which prevents gas from turning to turpentine.